The event will feature more than 30 sculptures, structures and installations, using state-of-the-art light technology. The event will feature light graffiti, interactive light bubbles and flora light drawings and is taking place for the fourth consecutive year. Installations will include ‘Dazzling Dodecahedron’ by UK artist Amberlights, a 3D installation that people can enter to enjoy a rainbow spectrum of colour. Additional new works include ‘Halo’ by Dutch artists Venividimultiplex. A giant halo - the artists' representation of the sun, will be suspended above the fountain in Cabot Square. 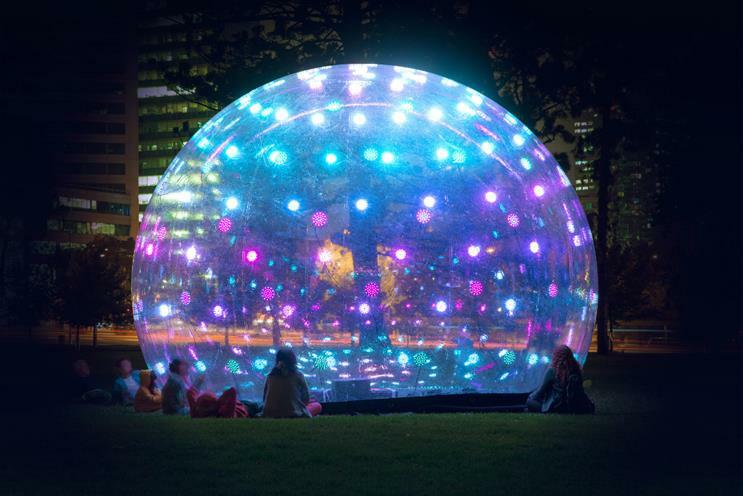 Transport for London (TfL) meanwhile will be hosting the 'Sonic Light Bubble', a six-metre wide living, breathing installation created by artist Eness, which emits light and sound when approached or touched. The festival is taking place from 16-27 January.